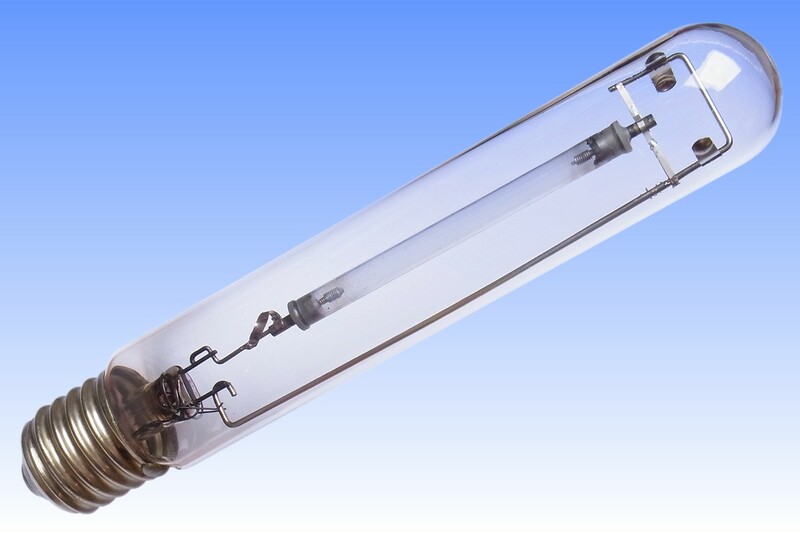 Following the perfection of the Edge-Defined Film-Fed Growth technique of making shaped single crystal ceramics by Corning Glassworks, there was much interest in using "Corstar" single crystal sapphire as an arc tube for high pressure sodium lamps. The traditional arc tube material is polycrystalline aluminium oxide, which is in fact chemically virtually identical to single crystal sapphire. The principal difference is that single crystal sapphire tubing is transparent, whereas polycrystalline alumina is not. 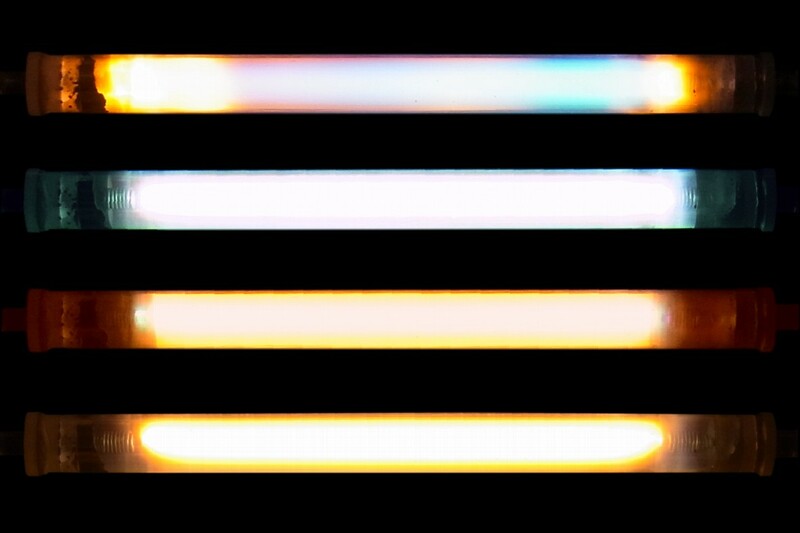 Its multiple boundaries between the tiny individual crystals scatter the light and reduce its transparency. Single Crystal sapphire not only has better light transmission which delivers improved luminous efficacy, it can also withstand higher temperatures and pressures. 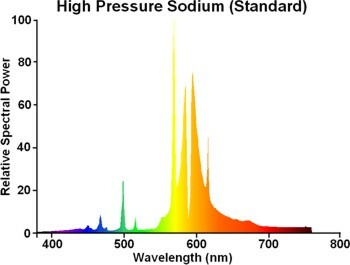 Thus two new sodium lamps were investigated with this material - one having higher luminous efficacy, the other being a 'deluxe' lamp having better colour rendering, achieved by operating the sapphire arc tube at higher temperatures. Regrettably, single crystal sapphire is not only expensive, it also has different coefficients of thermal expansion parallel and perpendicular to the tube axis. 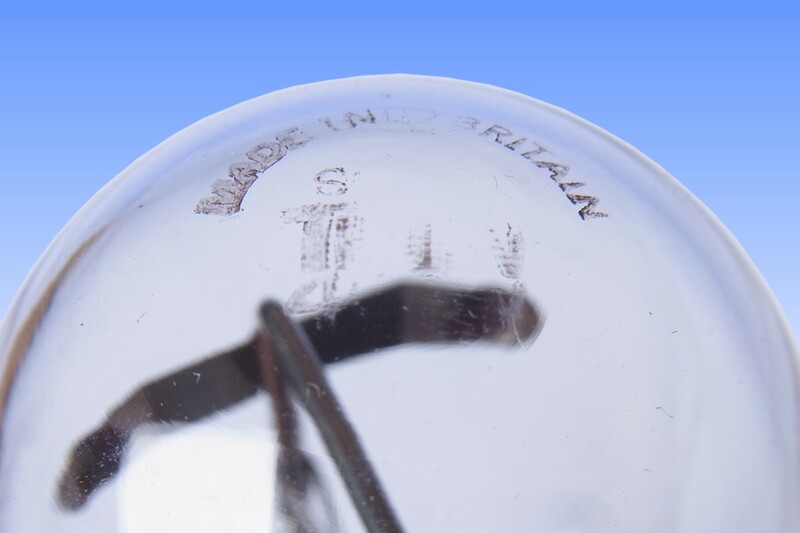 In view of the fact that this material actually only delivered some 3% better efficacy and that seals to metal conductors were very tricky to make even experimentally, lamps having sapphire arc tubes were only produced for a brief period by Osram-GEC and Westinghouse. 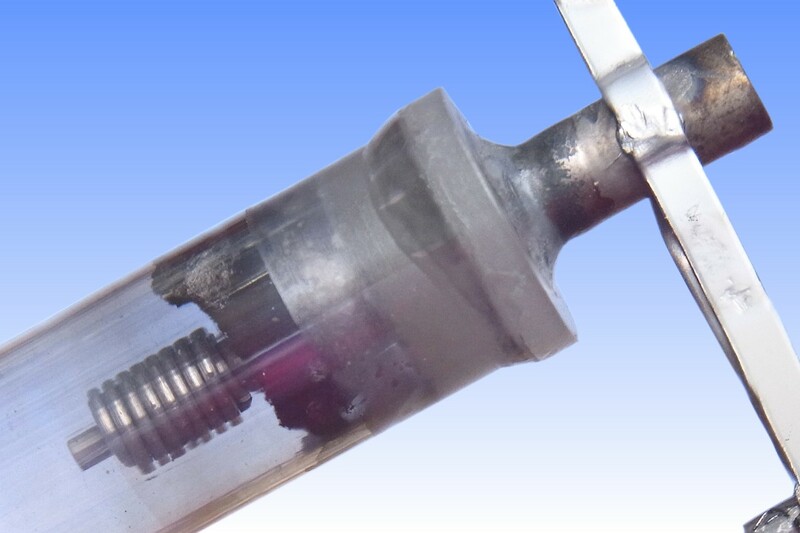 This particular sample was made in the Thorn Research & Engineering labs only to facilitate optical diagnostics of the arc and electrodes during operation, and it was not put into production. Unfortunately due to an outer jacket leak, it cannot easily be lighted. 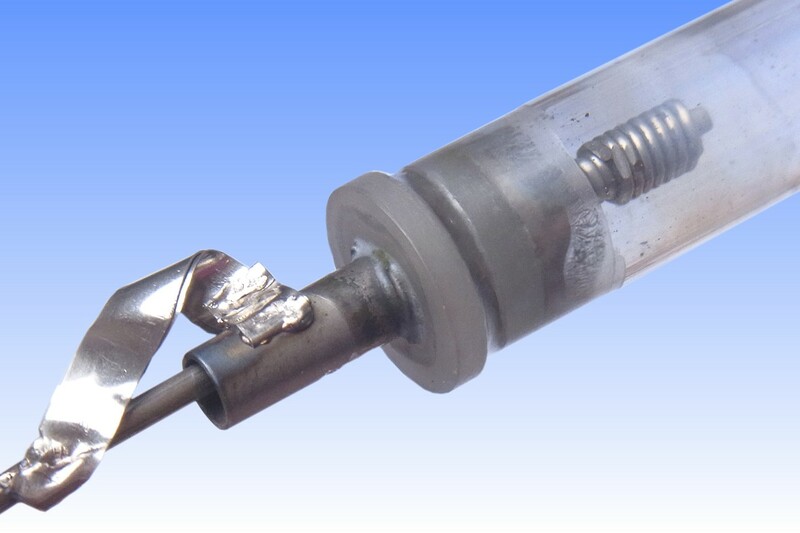 Manufacturer: Thorn Electrical Industries Ltd.
References: 1) Private Communication with Leicester lamp engineer D.O. Wharmby, 1996. 2) Thorn Lighting Product Data Sheet 400W SON-T & SONXL-T 96-2046C, 10-10-1989. 3) Thorn Lighting SON Manufacturing Specifications.